A somewhat new trend has been emerging over the last 1-2 years and is becoming more of a force in mental health reform. That trend is the efforts of private and state-private psychiatric care systems to try to preserve and add psychiatric inpatient beds in their areas. The efforts testify to the need for more psych inpatient beds almost everywhere. They are also confirmation of the huge national mistake that has been made in the previous 40 years or so nationally to close inpatient state hospital psychiatric beds. I will first set the stage, reviewing some of the factors leading to a national inpatient bed shortage. Second, I will discuss two recent differing state systems’ efforts to add or preserve inpatient psychiatric services. One is a novel success story that bears study, and the other is a looming failure that illustrates some of the factors that persist that impede this kind of mental health care system delivery. Lastly, I will conclude this lengthy piece, reviewing why the national loss of inpatient beds happened, contrasting what occurred in the public arena, which is so well known, with what happened in the private psychiatric treatment bed world. In addition to the private psychiatric sector, many systems closed nationally largely because of the fact that insurance companies had begun aggressive efforts to reduce coverage for inpatient psychiatric care. This issue bears some comment. It must be acknowledged openly that insurance was grossly overused in the “Golden Age” of psychiatry in the 1960’s until the late 1980’s. I recall, in my psychiatric residency days, treating patients on the university medical center’s psychiatric units for up to a year or so. Now, these were very very sick patients who were referred to the Big U’s psychiatric service because they had failed treatment everywhere else. Similar to the medicine and surgery services, the toughest patients with the most complex problems were customarily referred to the Mecca Medical centers for longer-term treatment. Unfortunately, the profiteer psychiatric inpatient corporations soon saw the insurance practices with regard to psychiatric inpatient treatment as an incredible Gold Mine to be exploited. (This analogy comes from the son of a mining engineer and a geologist and is used on purpose…). I would refer the interested reader to the abysmal, dishonest sagas of National Medical Corporation in the Southwest, documented in the book Bedlam by the New York Times reporter Joe Sharkey, and the incredible exploits of Charter Hospitals, which finally went bankrupt in the early 1990’s. With the closure of Charter, for the purposes of this discussion, thousands of psychiatric inpatient beds were lost nationwide in a month. In my practice area regionally in western NC, we felt the loss acutely, especially in one of my fields of specialty practice, child and adolescent psychiatry. We lost more than a dozen beds in the Asheville area. While that may not sound like a lot, suddenly, I and all my colleagues in the entire region, routinely had to refer acutely psychiatrically ill youth to state hospitals in ALL the other catchment areas of the state, as well as to other surviving private treatment centers everywhere in the state, including a treatment center that thankfully still exists on the eastern coast of NC. I had no social worker or mental health “extender” to do this and was forced to devote one to two precious hours a day, and even into the evenings, on the phone making referrals to get a child placed. Fortunately, in our area, several inpatient pediatric services at several area hospitals permitted child psychiatrists to admit and, if needed, attend and treat the inpatient minor until we had a placement. When we were not able to do so, the child/teen and parents were stuck in ERs for as long as it took to find an inpatient placement. This state of affairs generated a well done and emphatic newspaper article in a prominent newspaper, aided by the willing and motivated input of the psychiatrist, about how a child and mom were stuck in a general hospital’s ER for days on end. 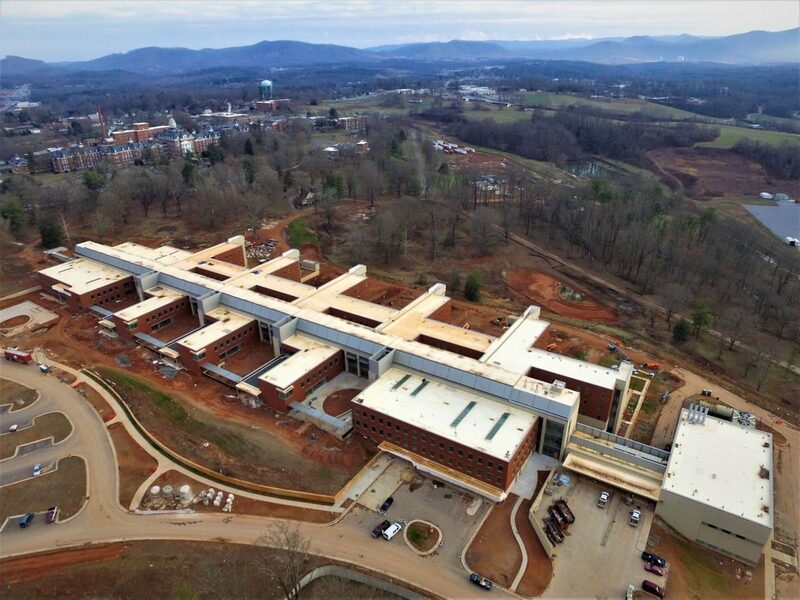 In our area, the major regional medical- school- affiliated teaching hospital in Asheville, Mission Memorial Hospital, stepped to the plate and formed a task force within a year after the local Charter Hospital’s precipitous closure, to figure out what to do. They were aided and piloted then by the valiant efforts of a private child psychiatrist, Gerald Travis MD. Mission with the co-leadership of Dr. Travis created and opened an inpatient child and adolescent unit of up to 12-16 beds. The hospital system KNEW this effort would be a total money LOSER. However, it affirmed its mission to the community by fulfilling this necessary service. In my opinion, the hospital and its leaders never received the thanks and commendation they deserved. Few private hospitals had done this at the time, but in recent years we have seen private-public partnerships deliver various types of inpatient psychiatric beds. My discussion will now focus on two such recent efforts, one success, and one impending failure that is like witnessing an automobile accident in slow motion, knowing what is going to happen, with the seeming inability to do anything to prevent it. First, the approaching failure. In a news story of about two weeks ago, it was reported that the University of Washington School of Medicine will be closing its ‘department of psychiatry’ housed at UW Medical Center Hospital in Seattle. The article published April 4, 2018, through KUOW entitled, “Closing psychiatric unit at UW would be ‘devastating,’ says nurse,” covers this issue succinctly. This service/department has 10 adult inpatient beds. It is a private unit, not state-supported other than its affiliation with the state’s medical school. The unit has 10 or 16 beds. This discrepancy was not clear to me from the article cited, as it sounded as if 10 of the potential full 16 beds were utilized. In any case, the unit reportedly will be closed by the university. The reasons were surprising but very telling as this may be the case nationwide for other community based psychiatric units or hospitals. This bears some long-winded explanation, so bear with me. The national hospital accrediting agency, CMS, the federal agency for Medicare and Medicaid, inspects and accredits all hospitals and component services such as medicine, surgery, pediatrics, psychiatry, etc., every three years or so. This accreditation process is separate from and independent of the perhaps better-known process, that of JCAHO, the Joint Commission for the Accreditation of Hospital Organizations, or as it is universally called, “The Joint.” ( I must say the first time I heard the slang for it, I thought my mentors were talking about a local speakeasy liquor joint…)! At the psychiatric unit in Seattle, the Joint conditioned the service. That means they found significant deficits in one or more areas of functioning. This/these could be in treatment, organization, policies, environmental aspects or others. I was astonished to read that the Joint conditioned the unit because it had unsafe furnishings on the unit that were significant suicide risks and hazards. One of the issues was the presence of shower curtain rods that could be used by patients to hang themselves. The reason I was so taken aback professionally as a psychiatrist was that I have witnessed, beginning in the 1980’s, the Joint noting this as a deficiency in public and private inpatient units and requiring their removal and alternate arrangements made in showering/bathing areas and practices. I have taken for granted for at least two decades the absence of such suicide physical hazards in a number of different hospitals I practiced in from the 1980’s to the present. This is not a theoretical issue for me personally that I have read about and clucked my tongue judgmentally thinking to myself self righteously, ‘they should know better than that.’ I had a patient successfully hang himself in the early 1980’s in his private room in between 15-minute checks one night. Post-incident review affirmed that the quarterly hour checks by the ward attendant had been reliably performed. This man used the shower’s curtain rod to hang himself. This incident caused internal and independent reviews and resulted in a state and CMS inspection, and in mandates to do away with curtain rods and similar environmental room hazards. As I practiced in other units in the area and in the following two decades in other areas of NC and in another state, I found this issue had become a national standard and requirement. I do not think the incident I was part of set the national standard but was, perhaps, an early tragic outlier event that helped to highlight this issue. The unit in Seattle reportedly is to be closed because the parent of the unit, the university, has decided it is too expensive to undertake the extensive unit physical conversions. Having seen these renovations done elsewhere, such as in big old state hospital buildings where the cost was likely very large, I was somewhat skeptical and ticked off. However, I am not in Seattle facing the costs balanced against the likely money-losing revenue that most inpatient psychiatric units present. It appears the university is simply not willing to shoulder the cost of preserving this unit. I will venture a very speculative guess that perhaps one background reason is that the university does not have the resources from the state to do this. Washington state is now the THIRD worst state in the country when one compares the number of overall inpatient psychiatric beds to the total state population. Ironically, this state presents itself as one of our most desirable places to live, the home of supposedly forward-thinking and worker-oriented industries such as Boeing, Microsoft and other high tech companies and industries. What’s more, Seattle is one of those cities that ranks with Austin, Portland, Boston, San Jose and all the other Silicon Valley places, San Francisco, Raleigh-Durham-Chapel Hill, Ann Arbor and other places that are hailed as the cool, funky places to live in the media. Sadly, Washington, like most states, has had severe revenue problems in the last several years, stretching back at least to the days of the housing bubble bust in 2007-2008 years, and thereafter through the present, no matter what the national economists say about the “recovery.” (Like my local wags put it: “I ain’t seen it yet.”) Consequently, the state hospitals, two in number in WA state, have been in the news for almost a decade because of funding issues, escape issues, loss of accreditation, staffing issues and many more deficits that illustrate sadly what has been going on nationally. The other story is more encouraging. I found notice of this development this morning in my Google search-bot news reader gizmo. The article can be read at this site and is worth perusal: Vermont directs UVM Medical to use $21M to help fix ‘mental health care crisis. Vermont has a responsible and active civilian body which oversees its mental health care delivery system: the Green Mountain Care Board. I must say that I have seen few bodies like this in existence nationally. This body takes its mission seriously. It obviously has followed the state of mental health care resources in Vermont. 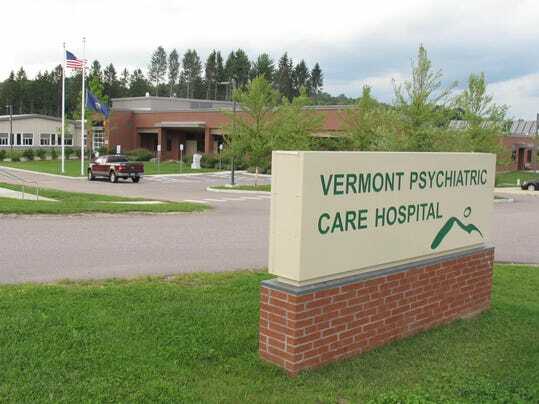 When it concluded that further inpatient services were needed, it mandated that the University of Vermont Medical Center (UVM) fund and build a new psychiatric inpatient unit at another affiliated facility, the Central Vermont Medical Center. These hospitals are not State psychiatric hospitals. They are entirely in the private sector in most senses. The UVM system is, though, state-affiliated. This belies an unusually productive private-university medical center-state partnership. There are others in this country, to be sure. This example is one in which enlightened reasoning in regard to present and future needs overcomes the ignorance used to justify the abolition of crucial resources in the name of responsible, but short-sighted, money management. This widespread circumstance present everywhere in this country is a testament to the error made in the last several decades of closing beds by states in their state psych hospital systems, a refrain most readers know of. But in addition, the reader who is not a mental health veteran of these wars of attrition upon national resources knows less about the second source of loss of such beds. This has occurred with as nearly great effect in the private sector. As insurance funding contracted by more than 50-70%, in my likely too conservative an estimate, private hospitals and university services closed beds beginning in the late 1980’s when managed care limits began to be effective in shortening inpatient stays more and more. This has resulted in the dominant reality that almost all inpatient psychiatric stays are for only “crisis stabilization.” That is code for short-term stays of always less than 14 days, and mostly 5-7 days. The dominant criterion for discharge became twofold, lessening or disappearance of suicidal thoughts/verbalizations and lessening or increasing control of psychosis/aggression/threats to harm others. I remember our common angry, nihilistic sentiment in those days when all psychiatrists realized quickly that discharging a depressed patient at 14 days or less was folly on many counts. Our pithy nihilism was manifest in the refrain that we would discharge patients before their antidepressant medications would have taken full effect. We opined (and none of the cost cutters paid any attention, dismissing our claims/warnings as fictional and self-serving to preserve our ‘income streams’) that suicide rates and numbers would rise. They did and data more than a decade later started to show this conclusively. As a result of such massive decreases in the financial support of psychiatric care, private units closed and downsized almost everywhere. My own site of training, a renowned university medical center reduced its inpatient beds by more than half and continued to do so for 20 years until the across- town private general hospital’s general inpatient units had more beds than the Big U’s services. The university medical center converted a number of beds from private regular inpatient psychiatric to research funded inpatient units. These only ran ‘protocols’ and patients only were admitted if they were accepted for specific studies; consequently, many patients were referred from, and came from, other areas and were not local. This problem continues today. Psych beds are rationed to the point that any innovation is useful. But unless we dump “dangerousness” as an admission requirement, get rid of managed care case managers and inject some medical quality into treatment – they will disappear as rapidly as they come on line. Very belated reply: great comment and observation.